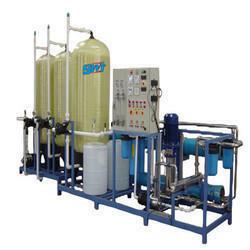 We are a leading Manufacturer of ro plant, ss reverse osmosis plant, 250 lph ro plant, swt commercial reverse osmosis plant, 3000 lph frp ro plant and domestic reverse osmosis plant from Ahmedabad, India. 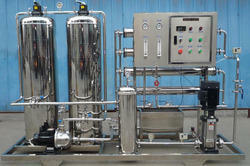 We have recently launched new designed compact 1000 lph fully SS RO Plant. 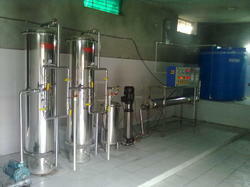 We are the leading supplier and manufacturer of mineral water plant. With the aim of delivering qualitative products, we are engaged in offering our clients with an excellent quality Reverse Osmosis Plant SS. Ideal for various applications, this product is provided in different technical specifications as per the different needs of the various clients. Offered product is manufactured as per the defined industry quality parameters with the use of best quality raw material and sophisticated technology. 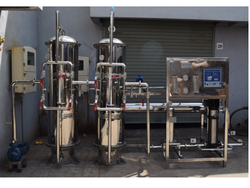 We are profoundly offering a comprehensive array of 250 LPH RO Plant, which is designed and fabricated by utilizing high grade raw material, which result the end product of finest quality. We offer the customize option, in accordance with the requirements mentioned by the clients. These products are thoroughly examined against various quality parameters to make them quality approved before delivering to client's premises. 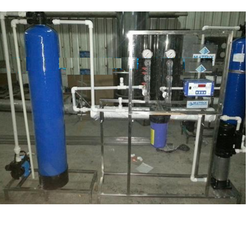 We are the leading manufacturer, supplier and trader of Commercial Reverse Osmosis Plant . 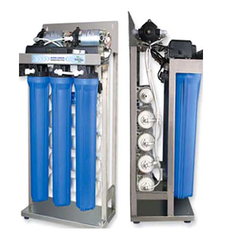 Over the years of experience in the industry, we have been able to provide the customers with Compact Reverse Osmosis Water Filter. These RO plants are manufactured using quality-approved raw material that is sourced from the authentic vendors of the industry. Reliable and efficient in nature, our offered RO plants conform to the industry set norms and guidelines. 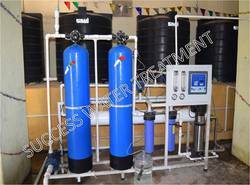 We have been able to cater to the various requirements of clients by providing Domestic Reverse Osmosis Plant in varied specifications. Our professionals carry out the manufacturing process of osmosis parts in close sync with patrons so as to fulfill their requirements. These professionals make use of only optimum quality material in the manufacturing process of offered osmosis parts so as to ensure their resistance against abrasion. 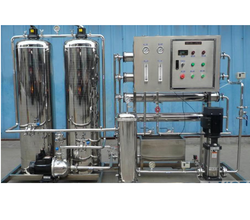 With our rich industry experience, we have established ourselves to offer a wide array of Stainless Steel Industrial Reverse Osmosis Plant. These products are manufactured by the experts using high grade quality components. Moreover, to ensure the compliance of the offered products with the defined industry standards and quality parameters, these products are tested on various levels by quality experts. Also we are providing these products at leading market price. With the aim of delivering qualitative products, we are engaged in offering our clients with an excellent quality Reverse Osmosis Plant. Ideal for various applications, this product is provided in different technical specifications as per the different needs of the various clients. Offered product is manufactured as per the defined industry quality parameters with the use of best quality raw material and sophisticated technology. With rich industry experience and support of highly skilled quality experts our organization is engaged in providing a wide range of Reverse Osmosis Water Purification Plant to our valuable clients. Offered products have high tensile strength, durability and long lasting performance. These products are manufactured with perfection for easy use by the valued clients. These products are robust in construction and also appreciated by our clients widely. 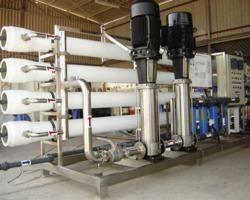 We are a coveted business organization engaged in catering to the variegated requirements of the customers by bringing forth Industrial Reverse Osmosis Plant. Fabricated under the guidance of our professionals, these osmosis plants are tested on the various characteristics before dispatching to the customers' premises. 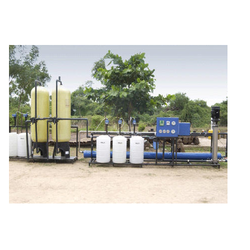 Owing to our expertise in this domain, we have been able to cater to the variegated requirements of the customers by bringing forth Reverse Osmosis Water Treatment Plant. 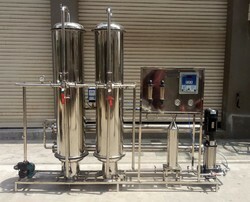 Manufactured at par with the illustrated standards of the industry, these reverse osmosis plants are developed using optimum-grade raw material that is obtained from the reliable vendors of the industry.This technology give clean water by removing dissolved solids, colloidal, particulate and organic matter, due to which these are widely appreciated in the market. Driven with perfection, we are engaged in catering to the variegated requirements of the customers by bringing forth a comprehensive SS 1000 LPH RO Plant. Developed as per the standards illustrated by the industry, these water treatment plants are manufactured at our in-hose manufacturing unit with the aid of sophisticated technology. We are instrumental in offering a wide range of R.O. SS Plant. The offered plant is available from us on several specifications as per the need of customers. We design this plant using top class base material & modern technology keeping in pace with industry norms. Our valuable customers can avail this plant from us within a stipulated time frame at competitive price. 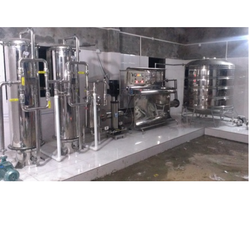 RO Mineral Water Plant S.S.
We are profoundly offering a comprehensive array ofRO Mineral Water Plant S.S., which is designed and fabricated by utilizing high grade raw material, which result the end product of finest quality. We offer the customize option, in accordance with the requirements mentioned by the clients. These products are thoroughly examined against various quality parameters to make them quality approved before delivering to client's premises. Being a customer oriented organization we are engaged in offering a quality approved range of Stainless Steel RO Plant in the market. Offered products are quality assured and known for their optimum performance. Our clients recommended these products for their easy usage and less maintenance. Offered range of products is made under the supervision of highly skilled professionals as per the set industrial parameters. These products can be availed at best market price. 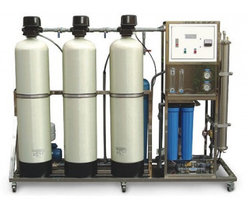 We are profoundly offering a comprehensive array of Reverse Osmosis Systems, which is designed and fabricated by utilizing high grade raw material, which result the end product of finest quality. We offer the customize option, in accordance with the requirements mentioned by the clients. These products are thoroughly examined against various quality parameters to make them quality approved before delivering to client's premises. Membrane - Dow / Hydraunutics / Ge - 8" Inch 2 No. Micron Cartridge Filter - 20 X 4" - 1 No. 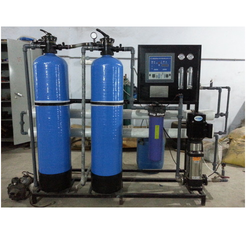 We are profoundly offering a comprehensive array of Reverse Osmosis System FRP, which is designed and fabricated by utilizing high grade raw material, which result the end product of finest quality. We offer the customize option, in accordance with the requirements mentioned by the clients. These products are thoroughly examined against various quality parameters to make them quality approved before delivering to client's premises. 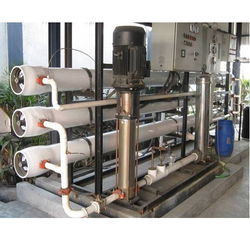 Owing to highly advanced infrastructural setup and immense knowledge, we are engrossed in offering a precision-engineered assortment of Domestic Reverse Osmosis Plant. Our offered product is designed at state-of-art production unit. 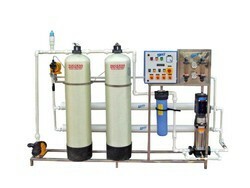 Looking for Reverse Osmosis Plant ?